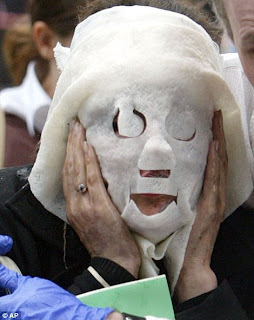 Today, on the fifth anniversay of 7/7 London bombings, one of the victims, 29 year old Davinia Douglass, spoke out for the first time of her recovery. Davinia, who was on her way to work, was standing feet from terrorist Mohammed Sidique Khan when he exploded his bomb on a train at Edgware Road tube station. "I remember people screaming and sounding shocked as I walked through the back carriages. I didn't realise I was injured, I was still in shock. I remember telling people that I needed to get to work." 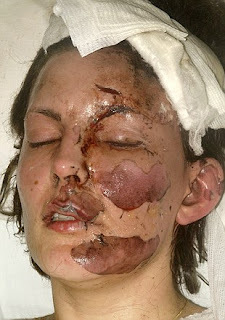 The skin on the entire left side of her face was scorched by fire in the attack. She was given a mask to protect her face by emergency servcies. She said, "I went from being convinced that I would be seriously scarred for life and that my life would be ruined, to being hopeful that the medics who were looking after me would be able to put me back together as I had been before." 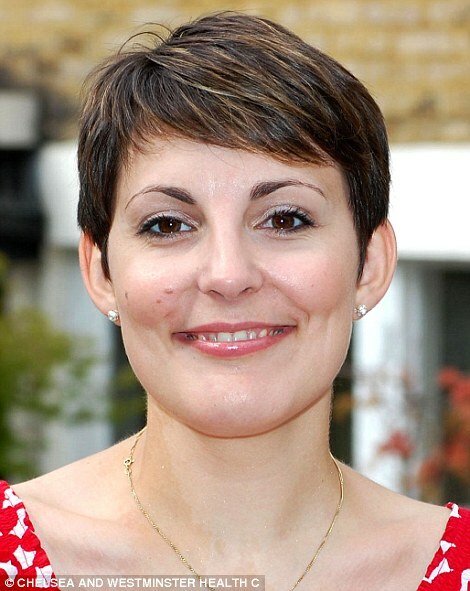 Davinia received treatment at Chelsea and Westminister hospital but despite "wondeful physical treament she received, there was no psychologist available as staff were overstretched. She said, "I had help from a post traumatic stress counsellor,' she said. 'But there were no dedicated psychologists attached to the burns unit." Despite this, Davinia still went back to work soon after receiving treatment, got married on Valentine's Day last year and has returned to using the tube every day. 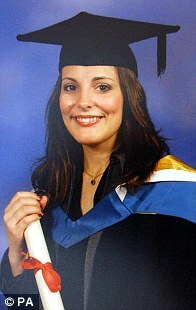 She is now campaigning for a dedicated psychologist at the hospital where she was treated. If there was ever an inspirational story to make one appreciate the life they have, then I think this is it. This post could have easily been an angry rant about 7/7 bombings, terrorists etc. Though I wanted it to be more focused on the journey of hope. 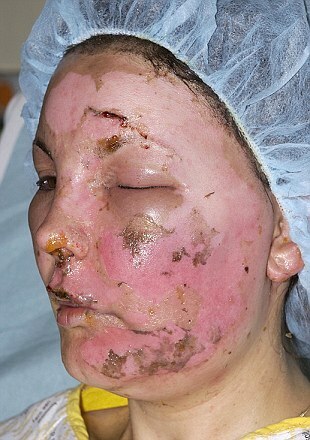 How many people would feel defeated with the possibility of recovering from a bomb attack such as this? Being scarred for life is a constant reminder of the attack and could have been permanent if it had not been for the amazing treatment Davinia received.